Do you sometimes feel like others are the definition of zen and you just can’t figure out how they stay calm and serene when all you wanna do is flip out? I feel you, it can be annoying to encounter these rare beings… Still, you might feel like you want whatever they’re having! Most of the time, let’s be honest, mindful people have less stress, less drama, fewer health issues, and simply more peace of mind. So, in order to get your own zen mode on, I have compiled a list of simple things you can try to bring a little more peace and quiet into your life. Of course, there is no magic pill for becoming Dalai Lama level mindful but there are things that can make you feel more balanced overall. These are my favorite top ten mindfulness resources that have helped me on my journey to practicing mindfulness in everyday life. Meditation is a big part of developing a more mindful approach to life. Calm is my favorite meditation app and has helped me establish a decent meditation routine. I use it daily, for guided meditations or for breathing exercises if I feel really stressed. I love their free version as it offers everything I need and the nature sounds and music pieces are very relaxing. My favorite is summer meadow, transporting me to a lovely memory of summer breaks in Italy. Calm is also suited for total beginners and will lead you through a free “7 days of calm” guided meditation series to start your journey. This is a very good book for people who are new to mindfulness. Oli Doyle’s book is designed as a 6-week guide to inner peace and has a lot of practical exercises, touching on all the different aspects of life, how mindfulness can help you become more balanced and how to deal with negative emotions, stress, fears, and worries. In so doing, it leads you to cherish more of the amazing things life has to offer and to connect more deeply with yourself and others. On here you can find articles about mindful living, apps, tips, scientific research on the benefits of mindfulness and how to stay mindful at work. Tiny Buddha offers a wide range of topics from uplifting quotes to healthy habits, finding fulfillment at work and mindful advice for your love and relationship questions. More times than not something I come across will link back to the Tiny Buddha website, speaking to the reach this site has developed. They also have a nice Instagram feed filled with their best quotes for daily inspiration. A 10-minute walk in nature will rejuvenate you like nothing else quite can. 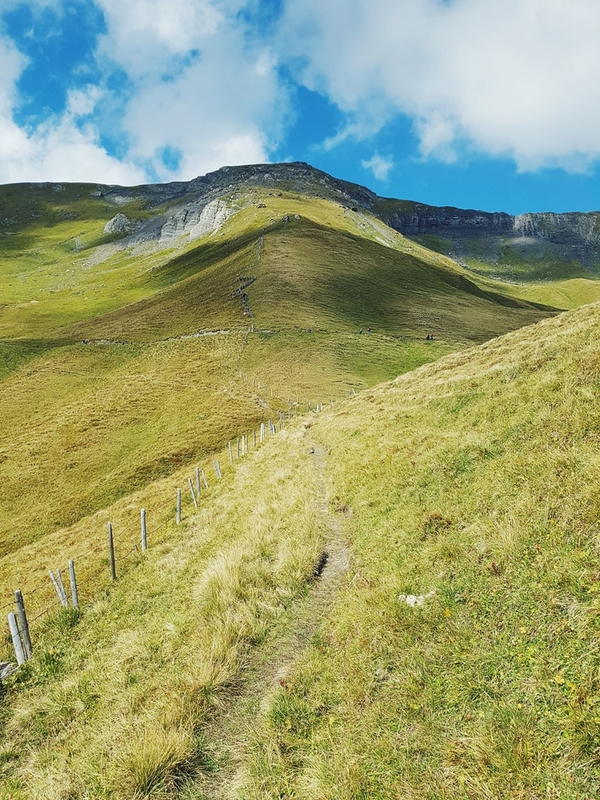 While walking in nature you get to really pay attention to your surroundings, be mindful of your steps, where your mind goes and how your body feels while walking. If you like, you can try to do a walking meditation using an app as well or just paying attention to your steps and breathing. Take time out of your busy schedule to regularly lead conscious conversations with people in your life. This can be a talk with your significant other, a family member, a friend or someone you have just met. Conscious conversations involve both people taking turns in telling the other what moves them, what is on their mind, simply talking about what they feel like in that specific moment with the other person listening empathically and mindfully. Martin and I try to have conscious conversations as often as possible, making sure we stay connected with what the other is experiencing. It’s not easy to master the skill of active listening, of course! We tend to want to talk rather than listen. So this definitely takes practice but it has always left us feeling really heard and appreciated. Kondo is the queen of cleaning up and getting rid of all the stuff that clouds our homes and, as a result, our minds. So even though her books are about decluttering and cleaning, they are closely related to bringing more mindfulness into your daily life. Having a clean and organized space goes a long way to making you feel more at peace. I am in the first stages of applying her method and will write more about our progress within our home on the blog. You might be surprised to find a project management tool on this list. But think about it: so much of our stress comes from feeling overwhelmed with our to-do’s, with unclear visions of what we want to accomplish and with losing sight of our goals and intentions. I have struggled quite a bit with planning at times and still do but Trello has helped me a lot in not completely falling off whatever intention wagon I want to be on. I can plan my daily tasks as well as my entire year in a way that is easy to visualize. I created different boards: one for my personal health, one for my blog, one for our relationship. That way I get to stay on track, dream up what excites me, what I want to accomplish. The free version is quite packed with features and I love to see how my projects progress even though I might not do everything exactly as I plan them. 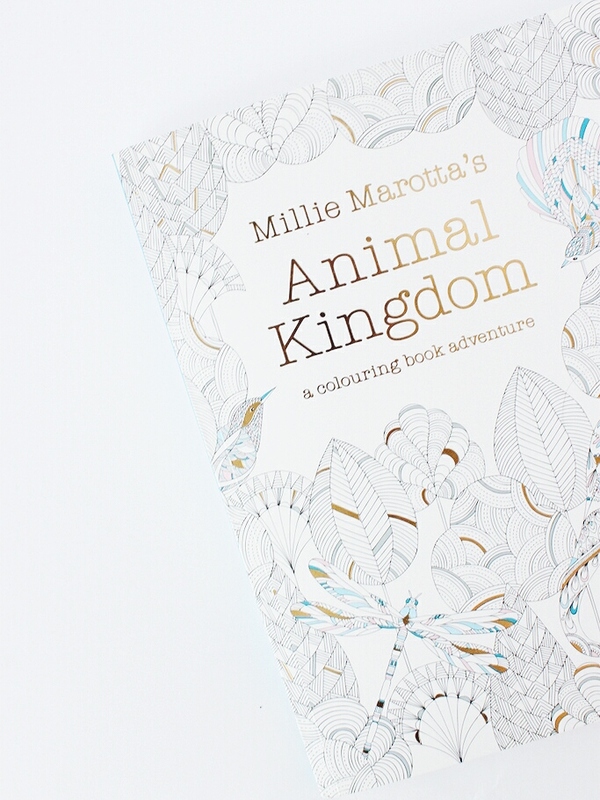 Whether you are new to zen coloring books, or you’ve already discovered the joy it can bring to color animals, plants or beautiful patterns for hours on end, Millie Marotta’s books are definitely worth your time. They are wonderfully filled with exotic animals, plants, scenes and more and you can really get lost in the activity of choosing the colors and being creative. These books help you to focus on what you’re doing and train the mind to drown out the noise and really be present in the coloring process. If you want a more immersive experience into mindfulness, you can choose to go do a meditation retreat. There are thousands of retreats all over the world of course, and whichever you choose really comes down to preference. 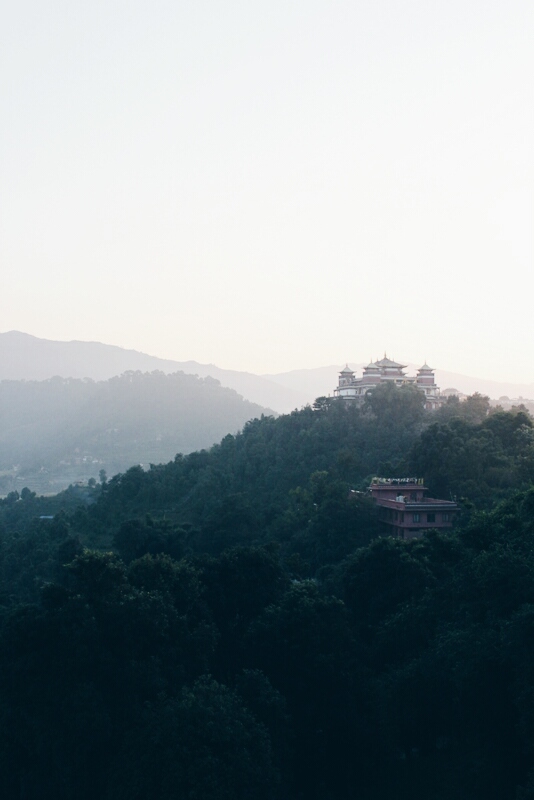 Whether you want to do a Vipassana retreat with complete silence for a minimum of ten days or a more introductory type of retreat with maybe some yoga and other courses throughout your day, you will surely benefit from taking the time to focus on body, mind, and soul. I went on a Tibetan Buddhism meditation retreat at Kopan monastery in Nepal and can highly recommend it. It’s one of my most cherished memories of solo travel! But if this is too far, you can look into some monasteries close to you that may offer rooms you can stay in and where you can focus on your practice of mindfulness without a strict schedule and on your own terms. Of course, mindfulness isn’t tied to a place and can be practiced wherever and whenever but sometimes a change of scenery and a more quiet environment helps in mastering some of the basics. I hope this overview of my top ten mindfulness resources has inspired you to bring more peace and quiet into your life and reap the benefits mindfulness has to offer. So next time you see some kickass zen master, be happy for them and ask them what they do to be at peace! Wow! It is amazong how mindset works. I have been studying about it, and today it took me to your post. Thanks for sharing all that great stuff. Dear Maria, great to hear you are studying mindfulness. Sorry for the late reply, I had a technical issue with comments. I’ve tried calm and still use it.. It’s really cool. Thanks for sharing the rest of these; I will check some out!